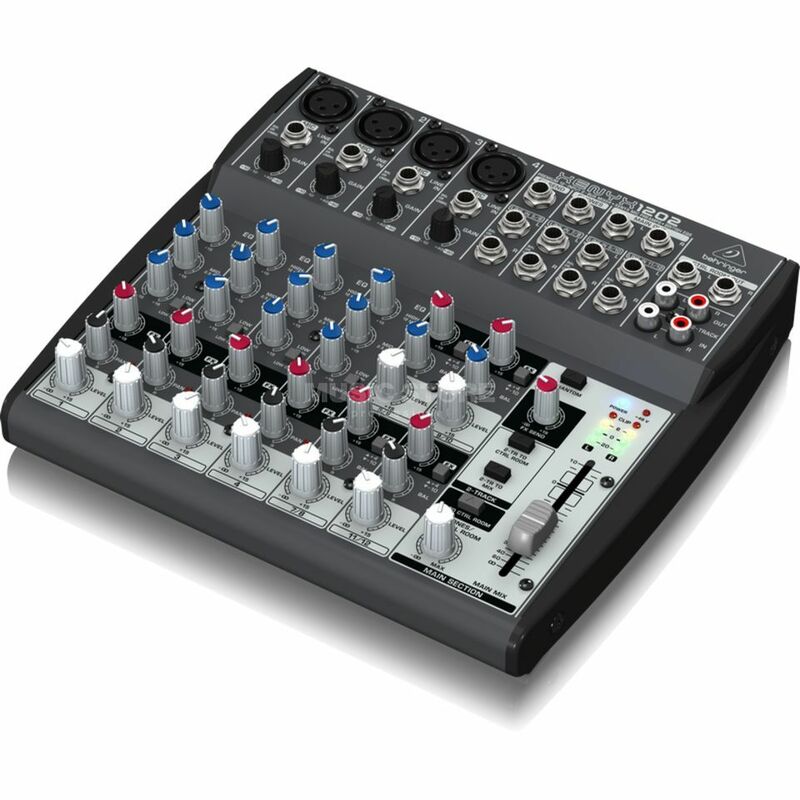 The XENYX 1202 has 12 inputs and a FX Send control for each channel. Additionally, assignable CD/tape inputs have been incorporated for routing flexibility. The new XENYX Mic Preamp matches the sound quality, transparency, headroom and even the dynamic range of boutique-style, stand-alone mic preamps. Behringers neo-classic British EQ brings back the warmth and musicality of those 60s and 70s mega-console desks that made music history. Perfect for what I need it for.